Believe it or not. Everyone who happens to visit La Carlota City this year, particularly in December, may be in awe to see for himself that though Philippines belongs to a tropical zone, but there white Christmas in the small city of La Carlota. 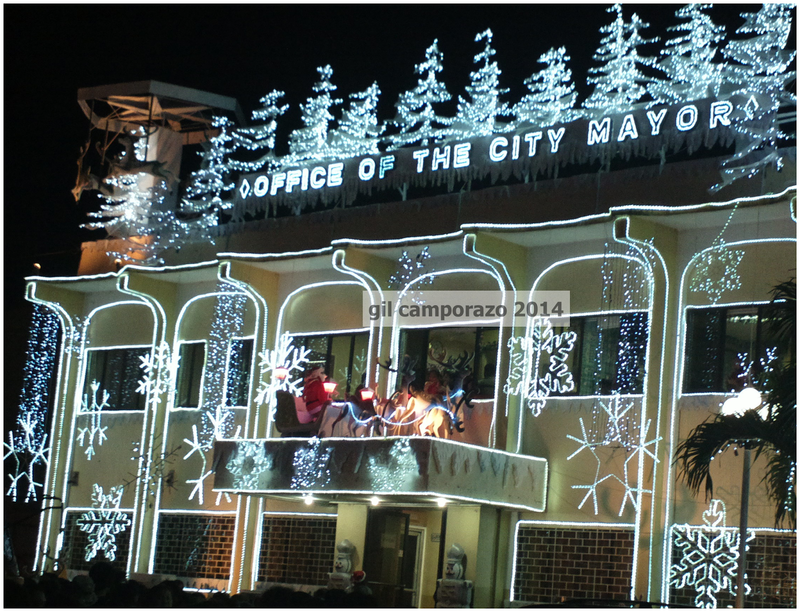 White Christmas is the motif for this annual month-long celebration of La Carlota City, which has become now a tradition among the Mangkasanon, ancient native of La Carlota. Yuletide seasons could bring so many worthwhile happenings in everyone's life especially the family, the kids, the parents and even those in-laws. In our country Philippines, Filipino are used to observe Christmas with a lot of traditional practices like Simbang Gabi, caroling, party. In La Carlota, the festival of lights and music is considered as "one of the most-awaited events", which features a nightly showcase of songs, dances, and merrymaking participated in by several groups representing the sector of youths, senior citizens, education, religious, business, and even the local government units. 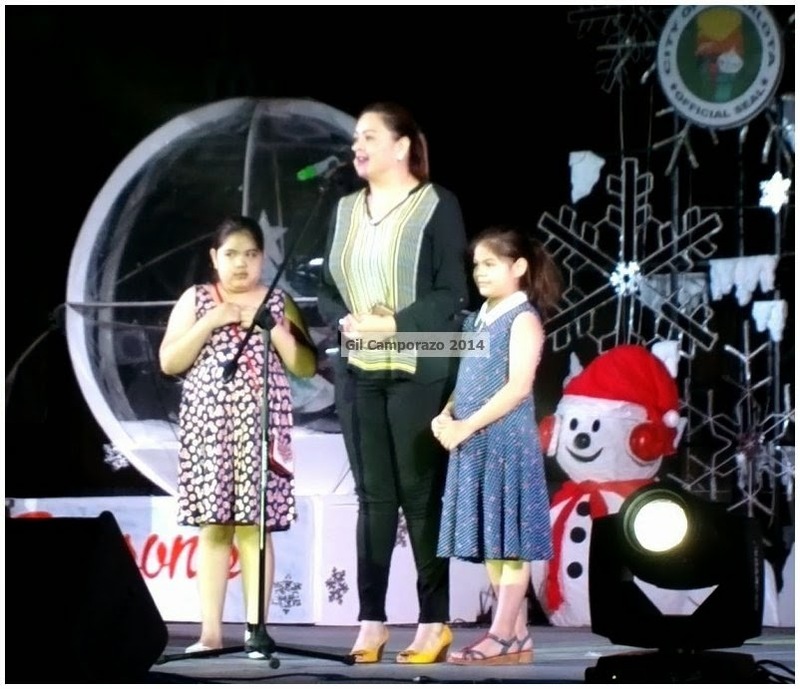 Mayor of La Carlota Juliet Marie D. Ferrer considers this year's festival as the best opportunity to thank God for the blessings the city received. "As we celebrate the Birth of Jesus Christ with the Festival of Lights of La Carlota, we thank God for all the blessings He has bestowed upon us. We thank God for all He's guiding us, taking care of us, and protecting us. We thank God for sparing us from the wrath of the typhoon and other calamities. But of course, we also pray for those who are affected by the typhoon. I hope that the spirit of Christmas, the true spirit of Christmas which is love for one another will be in our hearts not only today, during the harvest but throughout the year. Let us all love one another and thank God for all our blessings. Together with my family and the city government of La Carlota, Cong. Jeff, Jason, Julius, and my daughters here, Julian and Julia, I wish everyone a Merry Christmas and a Happy New Year. May God bless us all and may God bless La Carlota." "The Christmas Festival of Lights and Music is one the most significant and most-awaited events for many years. Tonight we converge once again at the city plaza to witness the opening ceremony in celebrating the Yuletide season which will feature nightly presentation from several groups in the community of La Carlota City. But on top of these celebrations, We are reminded of the real essence of Christmas which is salvation, peace and goodwill to all. For the city government, Christmas is celebrated as we provide services to the city constituents and their needs are quickly addressed. Christmas is also implementing government projects for the marginalized sector of our community. Mayor Julie Marie D. Ferrer has already has gifted us so many remarkable projects, all for the welfare of La Carlotenos. Tonight comes another gift from her the month-long celebration of the Christmas Festival of Lights and Music. With so many gifts in store, I welcome you all to opening of Christmas Festival of Lights and Music, Have a Merry Christmas and peace to all of you." After the Vice Mayor and Mayor have given their messages, a colorful fireworks enhance the sky of the city of La Carlota. 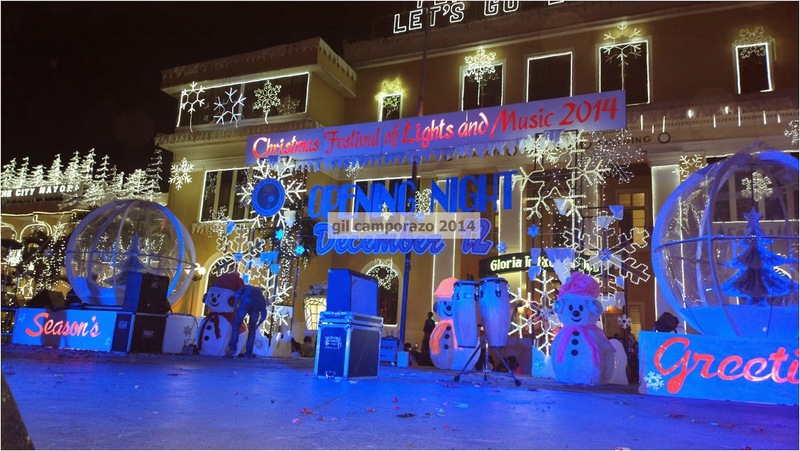 The city plaza is overflowed with people who come from the nearby towns and cities to witness the White Christmas inspired this year festival of lights and music of La Carlota City. As the city mayor completed her declaration for the opening of the festival, the blast of fire truck siren and the drum-beating for several minutes deafen everyone's ears. Simultaneously a colorful fireworks shooting the sky of La Carlota delight one's eyes to their satisfaction. 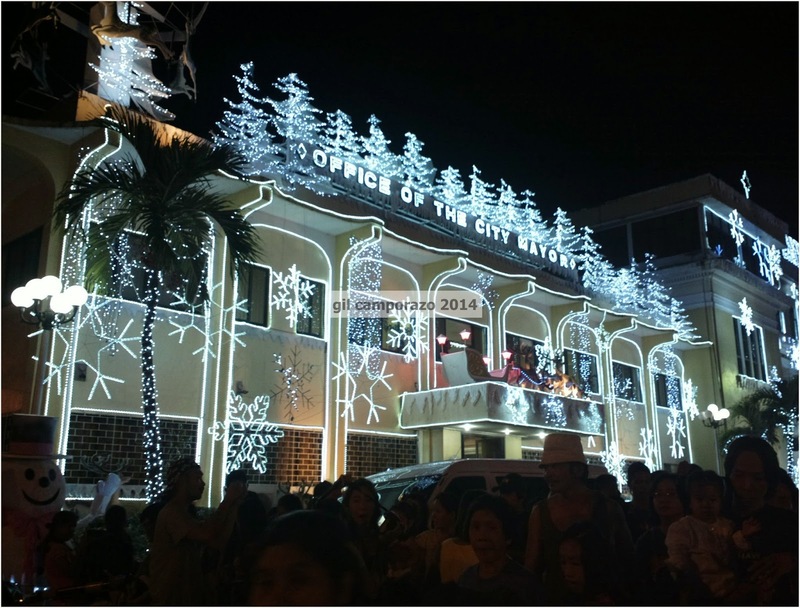 All standing trees inside the city plaza and the facade of city mayor's and Sangguniang Panglungsod building are decorated with lighted white bulbs to let everyone feel the spirit of "white Christmas". Also found on the ground are candy canes, big snowmen, reindeer. 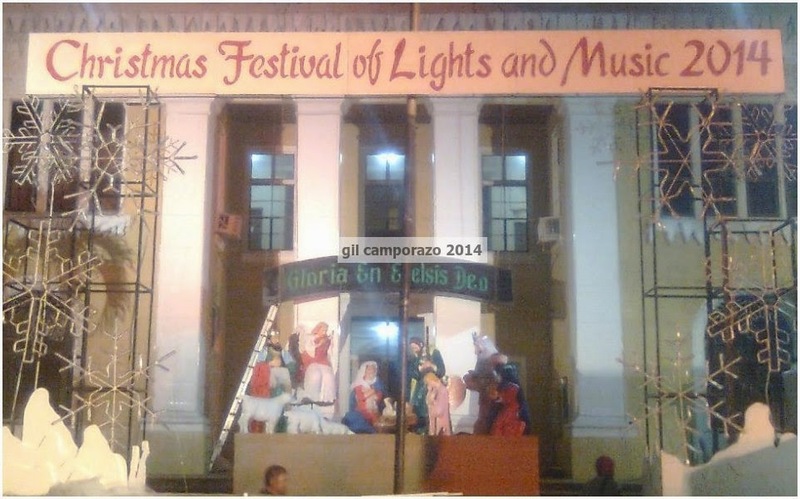 As a tradition, a giant size of caricature of Joseph, Mary, Child Jesus in a manger, shepherds, cattle, and the three Kings found at the facade of the city hall in an improvised, well-built structure stage. Congratz! 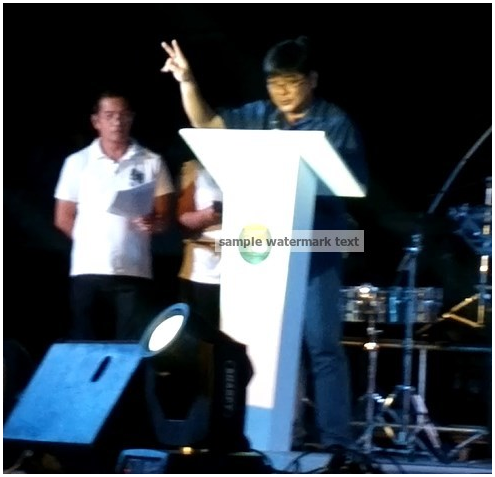 Mayor Ferrer for a job well-done. The residents of La Carlota are overwhelmed by your gifts in the form of various infrastructure projects, education, business opportunity given to them in which they're now enjoying them. More power and God bless! Very white and cheery Christmas decor can really liven up these holiday nights. What province is La Carlota City? What are the tourist destinations there? Christmas is the greatest holiday for people. Regardless religion, I guess everyone like Christmas. So do I.
Wowo, the decoration for Christmas is beautiful! I love the white lights and how it gives the image and impression of white christmas! Singapore usually uses colourful lights on the contrary! Boooo.... White christmas is so much nicer and more elegant! I'm giving them props for putting together such a gorgeous display out there. It certainly puts everyone in a cheery spirit. I'm glad that we're all back-to-normal, celebrating Christmas. I remember how we all made efforts to downplay the celebration of the holidays last year. Merry Christmas! The white Christmas theme for this year is really beautiful. It's also nice that they have a light and music festival to entertain the visitors. I haven't really heard of La Carlota about this place . Sounds like a place for me to include in the bucket list! 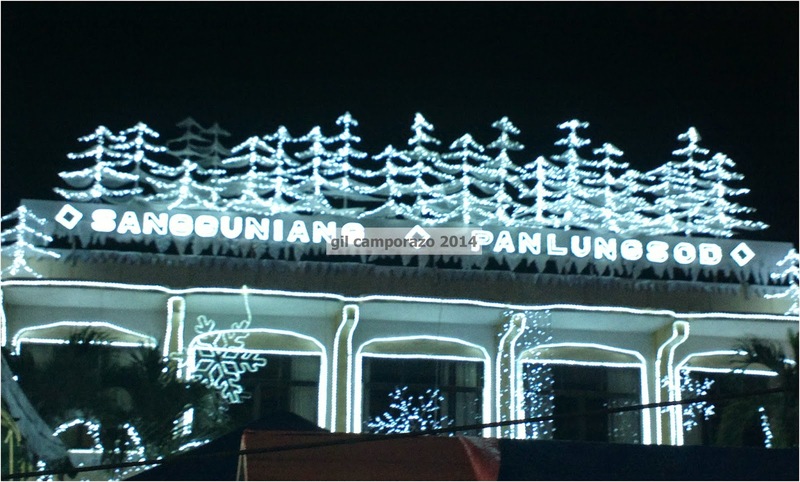 They decorated the municipal hall so beautifully! Good job! They did an awesome job in organizing their holiday events I love the lights festival and the activities they organized. Beautiful. We have our white christmas here in the city of Cagayan de Oro too. I just passed by last wednesday night of our own City Hall, and people were gathering to witness the beautiful "white house" of the city. Christmas is really celebrated in the Philippines. It has become a socio-economic event. 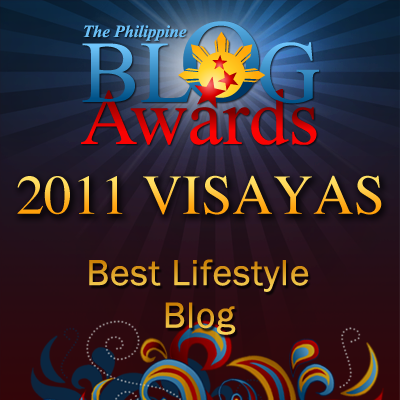 Congrats La Carlota City Tourism! This is another first from the Philippines, making your city as white as that makes the place so cool and lovely to watch. Merry Christmas too, Lady and happy new year to your family. ay ang saya! :) love the white christmas theme. your mayor is doing a great job! You bet. Our mayor is doing well, an outstanding local executive for that matter. I would love to experience white Christmas with real snow but since we don't have it here, this is good enough. The decorations and christmas lighta are so. Amazing! It's wonderful.